Power Operated Doors open and close on the push of buttons for entering and exiting of the elevator. These doors are reliable and made to last. These doors are fitted with a world-class operating mechanism which includes motors and investors. All the manual doors are equipped with mechanical interlocks and electrical safety system, this makes the use of the elevator safe for the passengers. Manual Doors are Handled Continuously for entering and exiting the elevator, hence these doors have to be very robust to take the continuous ware and tare. All the manual doors are equipped with mechanical interlocks and electrical safety system, this makes the use of the elevator safe for the passengers. Power Operated Doors open and close on push of buttons for entering and exiting of the elevator. These doors are reliable and made to last. These doors are fitted with world class operating mechanism which includes motors and invertors. All the manual doors are equipped with mechanical interlocks and electrical safety system, this makes the use of the elevator safe for the passengers. svmlifts take care of cabin design in special. the cabin is the place where the passenger truly experiences the elevator. Hence, it is very important that the cabin designs suit the taste of the Passengers and integrate well with the overall design of the building and give a perfect feel. We manufacture Elevator with various types of Cabin to suit the Taste of every client. We have a range which starts from basic Mild steel powder coated cabins to premium designer stainless steel cabins. 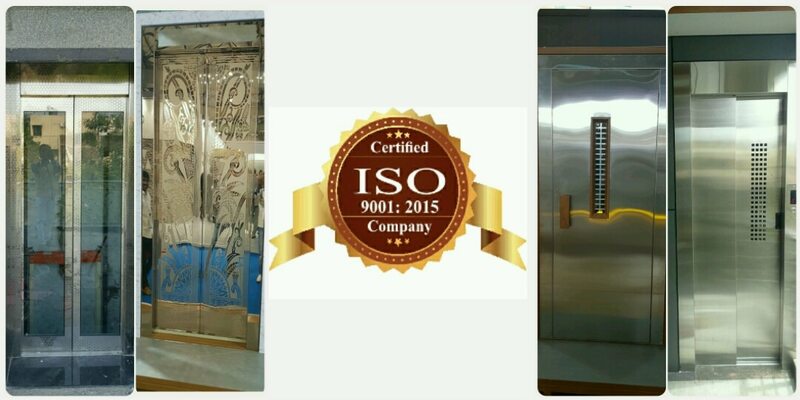 False ceiling and the Flooring of the elevator cabin also can be changed as per requirement.Types of Cabins can be bifurcated as Mild Steel Powder, Coated CabinStainless Steel , Hairline Finish Cabin, Luxurious Stainless Steel, Etched Design Finish Cabin, Panoramic / Capsule Type Cabin. A capsule elevator provides a panoramic view of the building to the passengers because it is mostly made of glass. It enhances the appearance of the building by portraying an extravagant look. Capsule elevator usually has 5 or 3 glass panels. Capsule elevator is highly preferred by shopping malls and 5-star buildings as they not only provide a grand appearance to the building but also provide a clear view to a passenger of the various contents of the building. It adds to the beauty quotient of the building. Capsule elevators are also preferred in low-rise residential buildings. The quality of raw material used to make the capsules is of the highest quality These lifts are durable, reliable, and provide foolproof security.